﻿ K-GUESTHOUSE Dongdaemun Premium, Seoul | FROM $25 - SAVE ON AGODA! 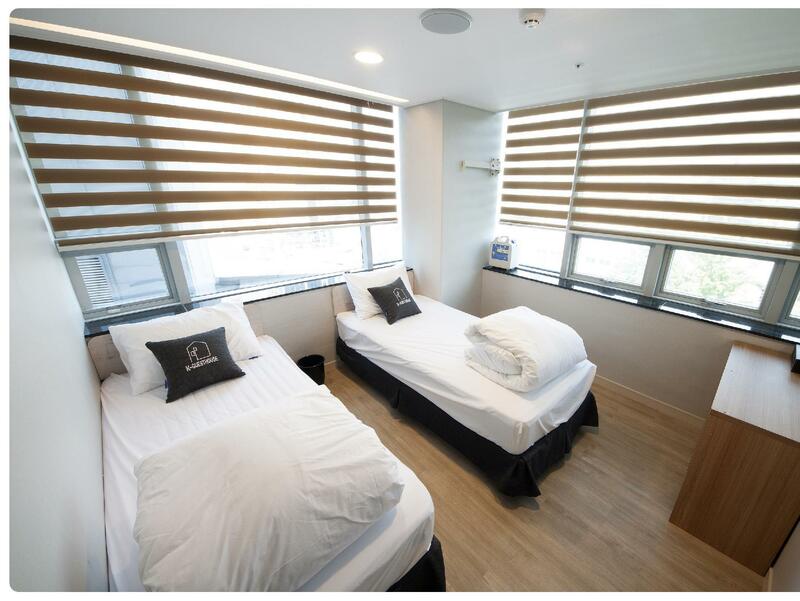 "Great location and a decent place for a long holiday trip in..."
Have a question for K-GUESTHOUSE Dongdaemun Premium? "The room was clean and cozy." "Will always consider staying here if going to Seoul." "A convenience store at the entrance of building." 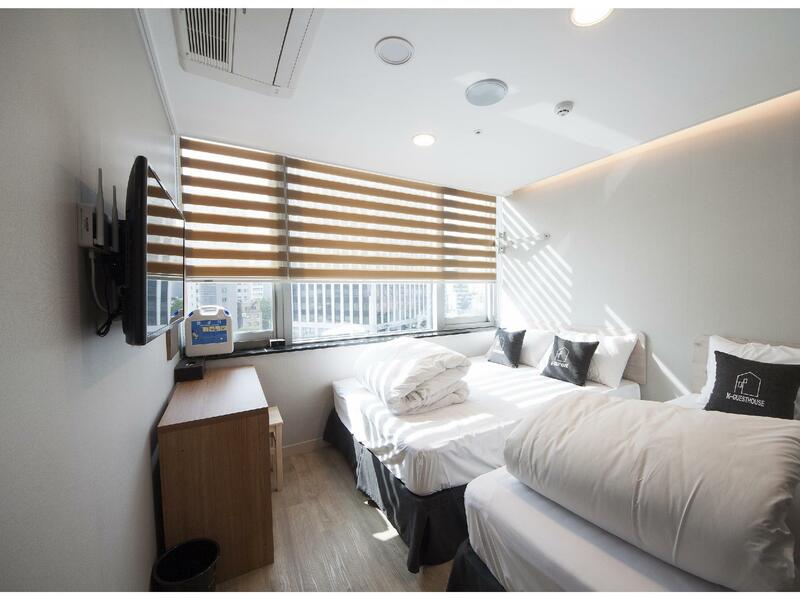 When visiting Seoul, you'll feel right at home at K-GUESTHOUSE Dongdaemun Premium, which offers quality accommodation and great service. The city center is merely 0.1KM away and the airport can be reached within 70 minutes. With its convenient location, the hotel offers easy access to the city's must-see destinations. 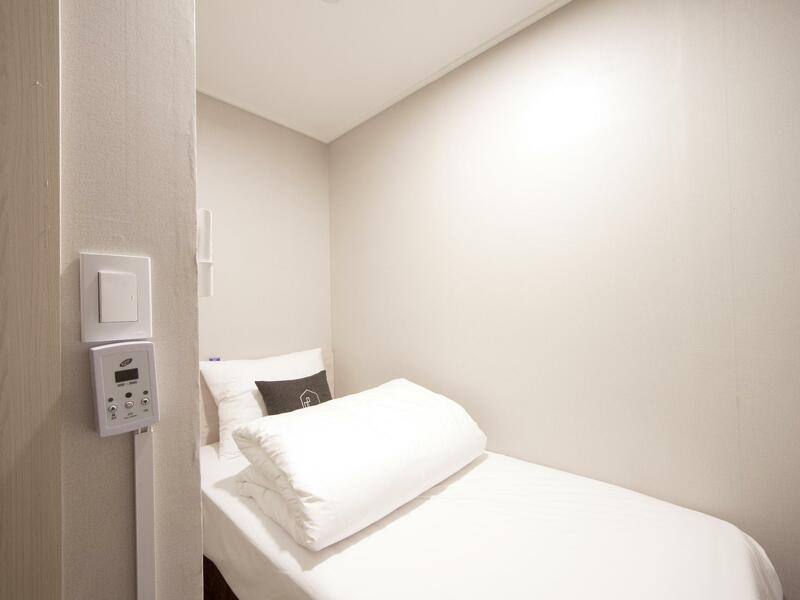 At K-GUESTHOUSE Dongdaemun Premium, every effort is made to make guests feel comfortable. To do so, the hotel provides the best in services and amenities. The hotel provides free Wi-Fi in all rooms, luggage storage, Wi-Fi in public areas, car park, family room to ensure our guests the greatest comfort. Hotel accommodations have been carefully appointed to the highest degree of comfort and convenience. In some of the rooms, guests can find television LCD/plasma screen, clothes rack, complimentary instant coffee, complimentary tea, linens. Besides, the hotel's host of recreational offerings ensures you have plenty to do during your stay. 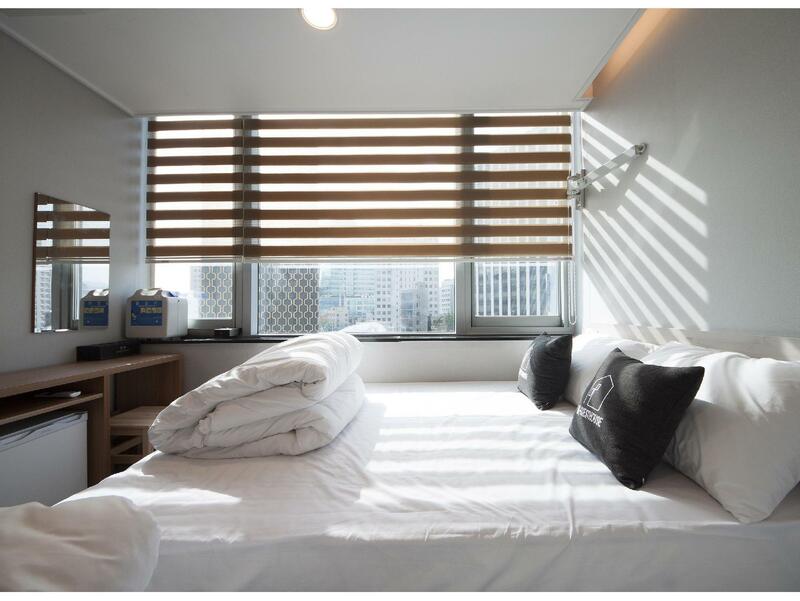 Enjoy unparalleled services and a truly prestigious address at the K-GUESTHOUSE Dongdaemun Premium. Children over 2 years old will be charged additionally for staying. Please contact the hotel directly for further information. Very convenient few minutes walk to train station, helpful staff especially the lady at the reception but don’t expect much for breakfast just bread ,cornflakes , instant noodles, coffee, orange juice and tea. The location of the guest house is amazing. As it’s near the airport limousine’s bus stop, I didn’t have to lug my luggage up and down the stairs to and from the airport. Room is a bit small for the price paid but I would still recommend for the good location. 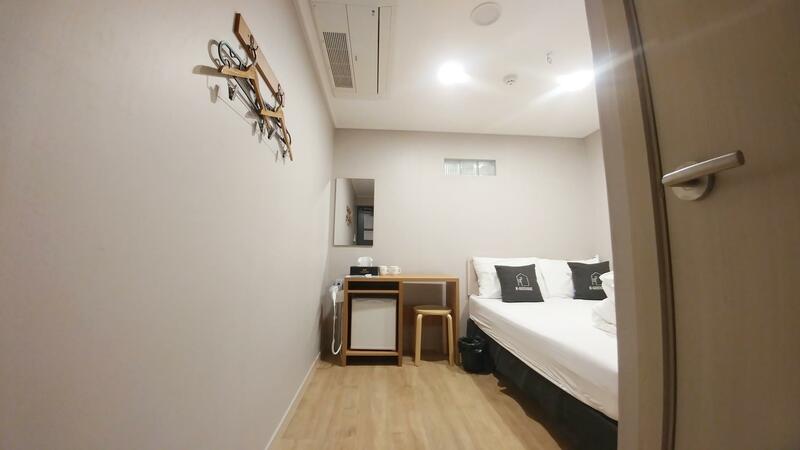 Pros -Strategic location, 3 minutes walk from nearest subway station (Dongdaemun History and Culture Park Exit 8), the room size is fit for 2 person for double room, breakfast is quite good and has variety of option, the room is clean. Definitely will come again for next visit. Breakfast is greate but requesting make it change options every day. We stayed for 5 days but breakfast selection is the same the whole 5 days we stayed (Bread, Super and mild spicy Noodles, Cereals, juice, tea, milk). But all in all great. We'll be back next year maybe winter time. The room is really too small, only able to open two 24'inch luggage but if you open 2 luggage, the toilet door is block. The advantage is the hotel location, 3 min walk to subway. Many good restaurant & cafe nearby. Location not super good tbh, the nearest train station exit no. 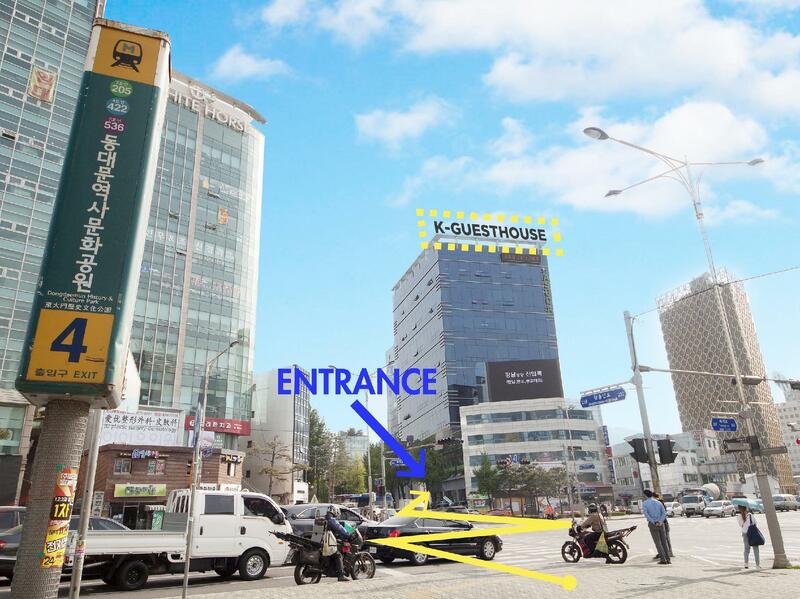 5 does not have elevator and escalator, we have to exit from lotte fittin mall and walk further down to cross a few roads to reach the guesthouse. Road to there is not easy if you’re dragging luggage. Room is compact, bedsheet is quite dirty (more of dust, need to use roller to roll some dust off before sleeping), windows will get wet because of the evaporator outside, need to careful when shower as water will leak from the door to the room, one good thing is no need to buy water to boil for hot water, there’s water dispenser at each level. 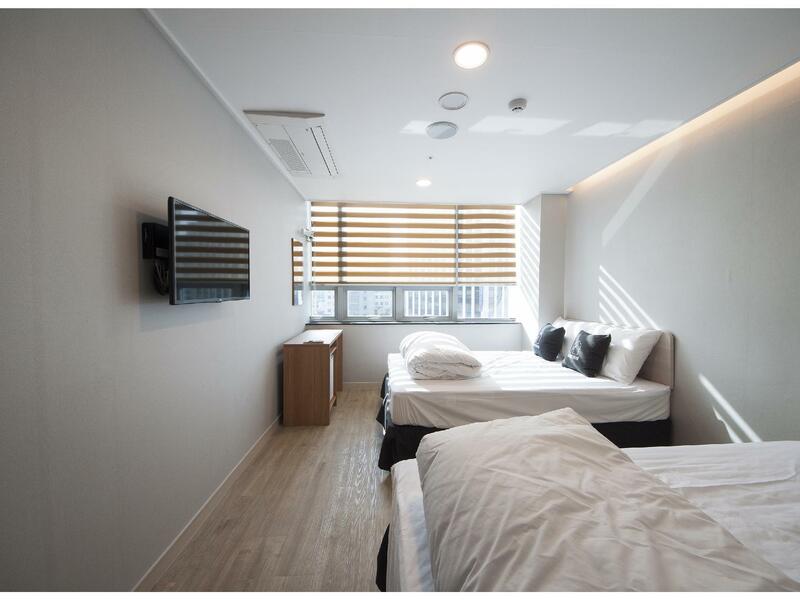 i choose this guesthouse because its so close to dongdaemun markets and malls. shopping at dongdaemun can be upto 4am. we can visit other tourist location by day, go back to rest and can go out again at night to shop. the only issue was the CR, shower area and the lavatory is very small. the lavatory will be all wet when you shower otherwise you will shower with your back at the door, which is worse because water will flood the room. I can't even let my small size luggage open in the room. It's okay if just stay for one night. The hotel has a very good location, the rooms are small though and no guidelines how to activate the Make-up room button. Since this is a guesthouse like, it would be better if they can add a variety of food choices for the breakfast. Stayed here for a week. All of our special requests were granted. We got a room at the 7thflr. The view was very nice. Breakfast was composed of cereals, bread, noodles, orange juice, and milk. Good for filling up your stomach before heading out. What I like most about this hotel is their location. Super close to the train stations, malls, and DDP. Even to designated meeting places for tours. Will definitely stay here again when we return to Korea. Location is very near subway but lots of stair going out and in. Walking distance to DDP There is elevator in the building. Free breakfast is provided. Convenience store is also just downstair. No bidet. Sheets are not too clean. (According to my friend who stay in the other room.) There is gush of wind coming from the window even if it is closed. So it is cold when your bed and bathroom are situated there especially winter. Overall was good as the location was near to subway , walking distance to Dongdaemuen area. The room is not big but for budget hotel, its fair enough to at least fit our luggage for packing with bathroom attached. Basic breakfast with bread, millk & instant noodle, ok as well to begin a day.